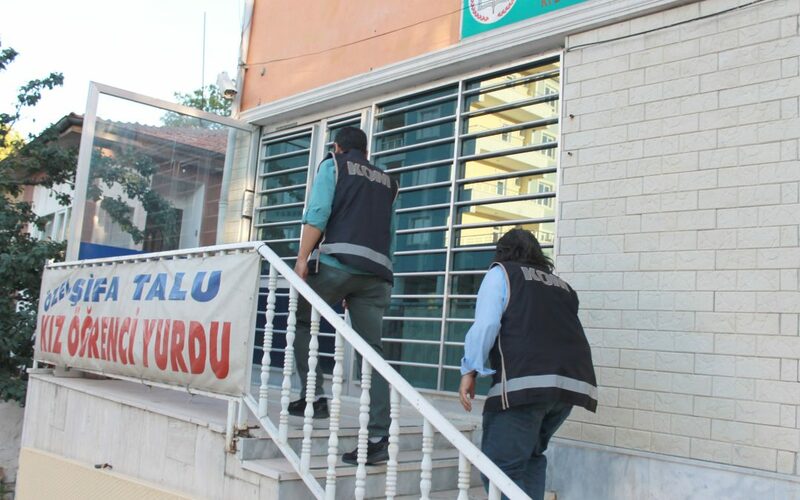 A Kirsehir court handed down 10-year prison term each to seven people who used to work as managers at the student dormitories, closed over their links to the Gulen movement, on Oct 4. During the final hearing of a trial against the movement in the central Anatolian province of Kirsehir, eight former dormitory managers including two females said they worked at the suspected institutions only to earn their living, asking for their release. The suspected dormitories were earlier shut down as the government blames the movement for the July 15, 2016 coup attempt and considers it as a terrorist organization. The movement denies involvement and terror accusations. More than 55,000 people were put in pretrial detention while many was sentenced to years of prison on terror charges since the summer of 2016.